Now here is a Blackout release that is well worth checking! Coming in the Adidas adiPure 11Pro range, this is a colorway that is packing a very traditional and stealthy look in a modernized package. Modern comes with some controversy, since the boot now features a Taurus leather upper instead of the traditional K-leather. Ultimately, it is a case of moving with the times and accepting change, as I had to do while testing the adiPure 11Pro and resulting in a 4/5 star rating. Flex zones in the soleplate and miCoach Technology give it a little extra oomph! In terms of the Blackout effect, it is very effective and produces one of the best looking blackout boots I have seen to date. 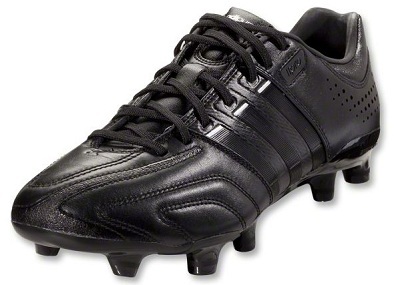 In my opinion it looks much better than the adiPure IV Blackout, which I held in high regard. This version just looks a lot more natural. The signature Adidas 3-stripes can still be made out even with their new paint job. 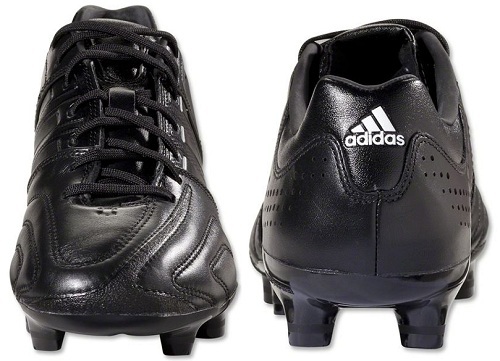 The only part of the boot that adds some contract is the Adidas logo on the heel and soleplate – just a little reminder so you don’t forget which brand you are wearing! The Blackout version is priced at the same $149.99 price point as all other releases to date, although I have a feeling these will sell out a little quicker than the rest! 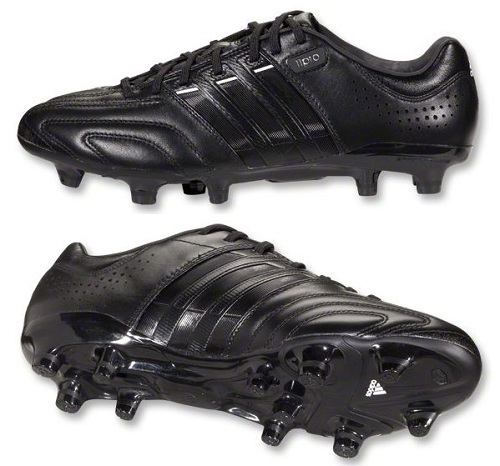 This release comes at the same time as a would-be Blackout release in the F50 adiZero is released – the big question is which version do you like best?